This article will cover how to assign pre-created pathology and radiology templates to a provider. For more information about how to create a new Pathology or Radiology Provider, please refer to our article on Service Providers here. For more information about how to create a new Radiology or Pathology Template, please refer to our article series about templates here. 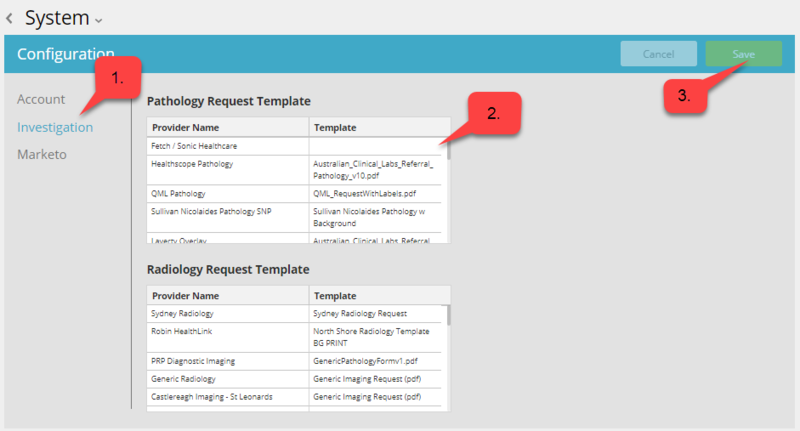 A large variety of Pathology and Radiology request/referral forms from the major lab providers in Australia have been pre-created and are available in the MediRecords templates database. To assign your default investigation templates, you will need to open System Configuration in the Settings menu. Click More at the top of the screen to reveal a drop-down list, and click Settings. In the system configuration, click Investigations to switch to the investigations templates settings. To assign a template to provider, click the field next to the name, under the Template heading, and select the template from the drop-down list. 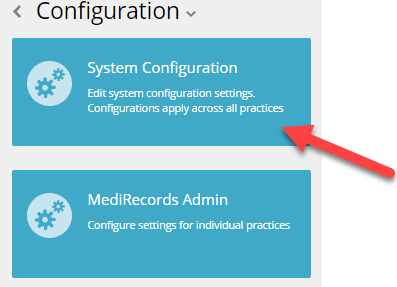 Assign default templates to all relevant Pathology and Radiology providers, and then click Save to apply the changes. Now when you create an Investigation request, the request will print on the template that has been linked to that provider. You've completed another MediRecords Tutorial. You should now be able to assign a Pathology or Radiology template to be used in your practice. If this is not what you're looking for, head back to our knowledge base and search for another article.